The coming of the railroad to the Broadneck Peninsula allowed the Arnold community to shed its cocoon and emerge as a vital part of the world around it. The seemingly isolated area was suddenly able to participate in the social, cultural, commercial, and educational activities of Baltimore and Annapolis. There had been a steam railroad between Baltimore and Annapolis since 1840. The problem for Arnold residents was that the Annapolis & Elkridge Railroad was on the south side of the Severn River, so people from Arnold still had to cross the river to use this route to Baltimore. In 1880 the Annapolis & Baltimore Short Line was chartered by a group of New England promoters. The project proceeded at a leisurely pace, with actual construction of the railroad began in 1886; and in March 1887, the new Short Line’s Engine No. 1 left Bladen Street station in Annapolis. The new steam line was actually four miles shorter than the old Elkridge line, and passed through scenic and sparsely populated farmland, in an almost straight line to the Severn River, where the rails crossed on a wooden trestle. In 1893 the company was sold to George Burnham, and reorganized as the Baltimore & Annapolis Short Line. 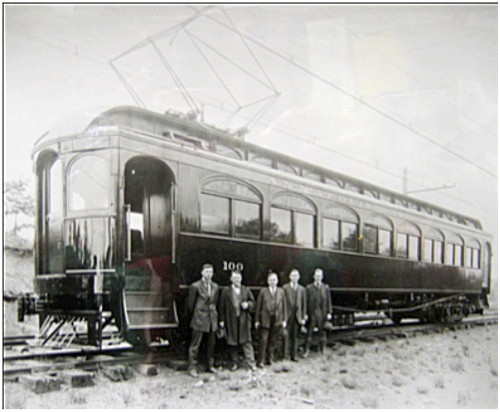 In 1908 the line was electrified and changed its name to Maryland Electric Railways Company. 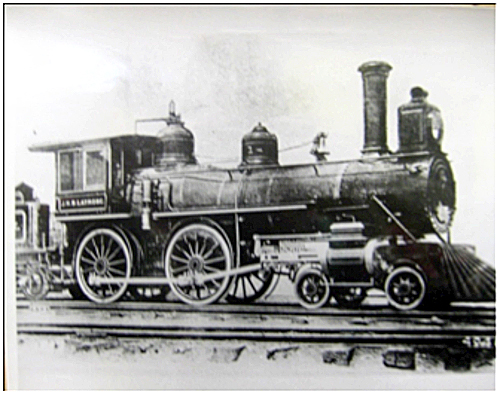 Steam engines were still used for the freight business; but passenger service became much cleaner, faster, and more frequent with the nine new high-speed Pullman type coaches. The luxurious coaches were 56 feet long, weighed slightly over 44 tons, and were equipped with four Westinghouse 100 h.p. motors along with Westinghouse triple-valve automatic traction brakes, which allowed operation with some of the older steam line coaches that were being retained as trailers. 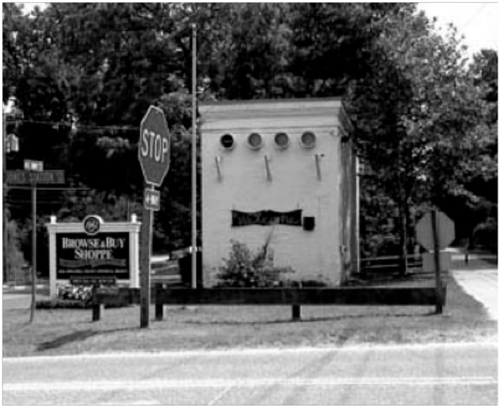 Shortly after the turn of the century, realtors touted the benefits of land along the Severn River, and summertime cottage communities began to develop. The Sherwood Forest Company attempted to develop a sister community called Ashby, on the north bank of the Severn at the end of Joyce Lane. Prospective buyers were instructed to take the B & A Railroad to Joyce Station, and the club ferry to Sherwood. Pines-on-the Severn was sub-divided into lots for summer and weekend cottages in about 1924. Edwin Pugh Baugh, a Florida businessman who made his money in fertilizer, chemicals and land deals, built an expansive copy of a French seaside chateau on the banks of the Severn, in what is now the community of Rugby Hall. He named it Uchillyn on the Severn. Passersby can still see the name on what was the gatehouse, now a private home on Old County Road. After Mr. Baugh died in 1921, the main building became known as Rugby Hall, a small hotel and restaurant. The estate eventually became Wroxeter-on-Severn, a private co-ed prep school, now closed. The building is still standing as a private residence. The Arnold family reaped rewards by having the railroad cross their properties. Arnold’s store at Revell became the post office. In 1902 the post office was moved to another store run by two of Thomas Arnold’s daughters about one mile south, in what is now called The Depot at Arnold. The railroad not only brought development of real estate in Arnold, but brought other commercialization. Charles Tate opened a cannery next to the post office. Local farmers could bring their produce to be processed and shipped to Baltimore. as 1,750,000 passengers per year between Baltimore and Annapolis. Trains left every hour from 6 am through 11 pm (during rush hour, the trains left every 30 minutes). Thomas Arnold’s obituary even suggested scheduled departure times of the trains from Baltimore to his funeral in Arnold. Because of its strong performance , the neighboring Washington Baltimore & Annapolis bought the Annapolis Short Line in 1921. In 1931 the line went into receivership and finally emerged as the Baltimore and Annapolis Railroad Company. The right-of-way and some equipment were bought by the Bondholders Protective Society. one by one, behind her, until only the caboose could be seen above the water. of King George Street to Severnside via steamboat. Another accident actually took place at the Arnold station crossing. The Baltimore Sun reported on December 11, 1924, that four people died when the Washington, Baltimore and Annapolis Electric Railroad two-car train crashed into their automobile. Mr., Harry D. Holme and his sister, Miss Anne W. Holme, of Mount Washington and Mr. and Mrs. Alfred Joseph Hansli were killed. Five-year-old Joseph Hansli Jr. , thrown clear of the wreckage at impact, survived. The automobile was bound northeast on a 12-foot private road which leads from Pines-on-Severn, a real estate development, to the Baltimore Annapolis Boulevard. The Holme family had a cottage at Pines-on-Severn. Mr. and Mrs. Hansli and their young son had been guests for dinner, and were returning to Baltimore. Albert W. Miller, motorman, said he had almost reached the crossing when, the automobile seemed to leap from behind the trees on the roadway directly in his path. He jammed on the brakes, but was unable to prevent the crash. The big electric car struck the automobile fairly in the center and ripped it to pieces. Despite his efforts to stop the train it continued on past the crossing for at least 175 feet. When it finally was brought to a stop the bodies of all four dead were wedged beneath the trucks of the first car. The crossing is about 200 yards south of the railroad station at Arnold. South of this, the tracks disappear, around a curve. A train from Annapolis, after rounding this curve has a straightaway of between 600 and 700 feet before reaching the crossing. Two big trees on the narrow roadway hide the railroad approach from the south from automobiles bound from the Severn settlement for Baltimore. It likewise hides from the view of motormen on the trains automobiles approaching from the Severn. wagon and two oxen. One day they were crossing the tracks when the W.B. & A.
community has garbage collection twice a week by truck. With the start of World War II and gas rationing, the B & A often ran with all available equipment in service. Trains were packed with midshipmen from the Naval Academy and their supporters going to the Army-Navy games in Philadelphia. 3Before Severna Park High School was built, students from Arnold and surrounding neighborhoods went to Annapolis High School via the train. Mail came to the Arnold post office by train. Workers remember a large hook beside the tracks that they hung the mail bag on, and the train crew would pick up the mail “on the fly” if there was no reason to stop. Following World War II, gasoline rationing was over, returning servicemen were buying cars, highways were improving; people were again using their cars for transportation. Eventually B & A substituted buses for the more expensive-to-operate trains, and by 1950 rail passenger service was discontinued. 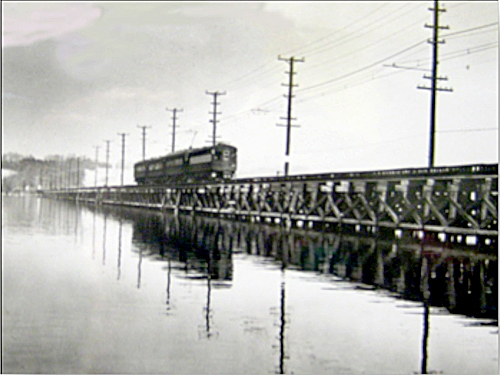 The B & A purchased a diesel engine and maintained freight service between Baltimore and Annapolis on a full carload basis only, until the old trestle across the Severn River was condemned unsafe. MOLTER, Nelson. Severna Park Anne Arundel County, Maryland – A History of the Area, 1988.